It’s an emotional time when the children move out of the home. While some parents feel a sense of relief, most have to come to terms with a suddenly empty house. If your children have flown the nest and you are wondering what to do next, you’re not alone. 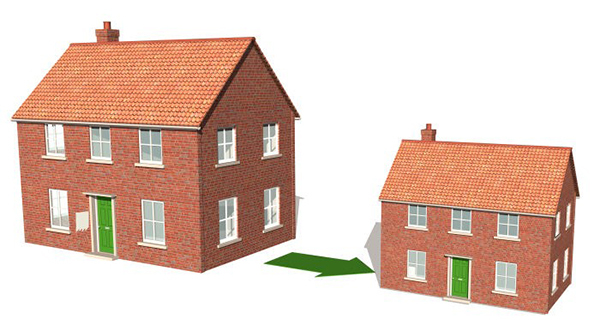 Should you move out to a smaller property? Or do you want to stay put in the home where you have built up so many memories? Big homes can be difficult to keep and maintain and if you’ve got rooms sitting empty, spaces can get neglected. Moving to a smaller home can have distinct economic advantages. If you have already paid off your mortgage, you can expect a useful windfall if you decide to move to a smaller place. Or if you still have a balance on your mortgage then you may find moving to smaller premises lighter on your monthly outgoings. You won’t have to spend so much on heating a smaller home as there will be fewer rooms. Should you be approaching retirement, that additional revenue can make a big difference to your personal comfort. You might want to use the extra money to help finance the home(s) your children now want to make. It’s becoming increasingly hard to get on the housing market, even if you earn a decent salary. Smaller is cosier. All that empty space can seem quite forlorn when you don’t have the children coming and going. Some people decide to move for more practical reasons. If you have mobility issues, for instance, moving to a bungalow makes more sense than struggling up and down the stairs every evening. A new area, with the chance to meet new people, may just be the distraction you need. The positives of a downsizing move can be numerous. The notion of the family home is one thing that often keeps many parents from selling up after children fly the nest. It’s a focal point for when their children need to find somewhere safe or simply pop back for a week. At least until everyone is settled and has their own home, you might want to keep that welcome mat out, just in case. There can also be some strong emotional ties to a property where you have brought up and nurtured your children. There are the friends and neighbours that you have grown to know well and the familiarity with all the local amenities. Packing up and moving somewhere new might have been fine when you were younger but now it seems like a big undertaking. Finally, downsizing your possessions may not be as easy as you think. The stuff that you’ve collected over the years could need to find a place in your new home. Sometimes that’s not possible and it means getting rid of furniture and other mementoes that may mean a lot to you. Deciding whether to downsize your home is a big decision. On the one hand, you have the potential financial benefits and cost savings. On the other, you have a lot of emotional connection that can often mean a lot more to people. According to the Express, however, nearly 6 million of us are considering downsizing in the future and, on average, older people who own their own home could expect to release on average £80,000 in equity. For many, it seems, the prospect of a more comfortable financial position might be just the incentive they need to overcome the emotional attachment to the family home. If you are considering downsizing, talk to one of our local property experts, they can help you to decide what kind of property would suit you best, which areas will appeal and can advise on the local timescales you can expect. 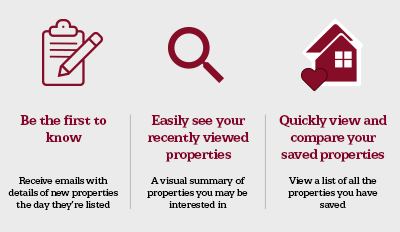 You can find out more about how we can help you to sell your home here. To find your nearest Northwood branch and to book an initial chat, click here.